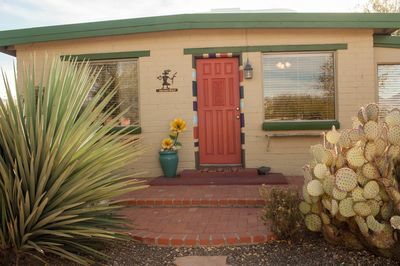 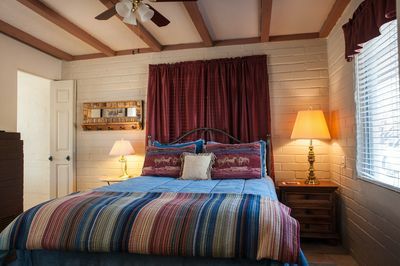 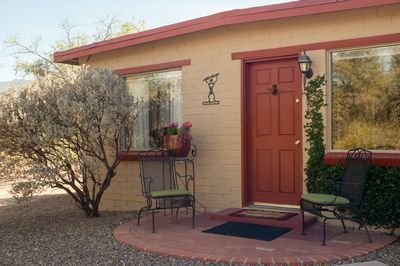 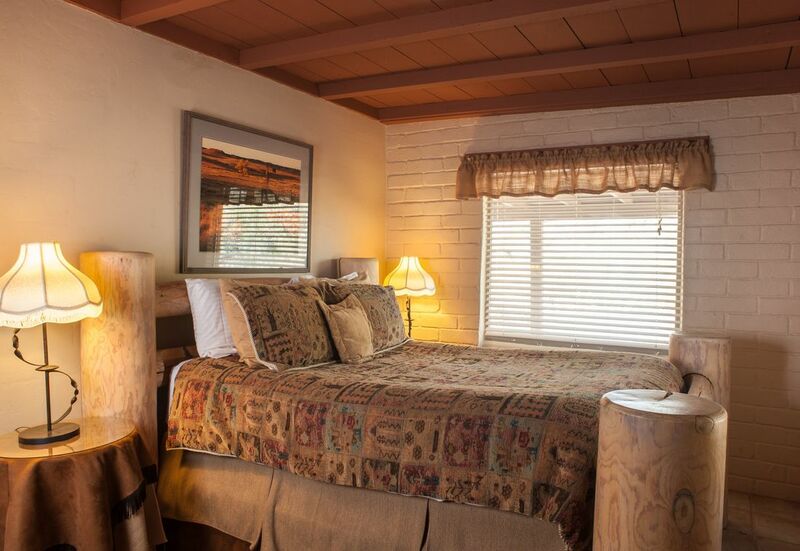 The Desert Sun offers you the largest sleeping accommodations with a split floor plan, two private bedrooms with queen size beds and private bathrooms off each bedroom. 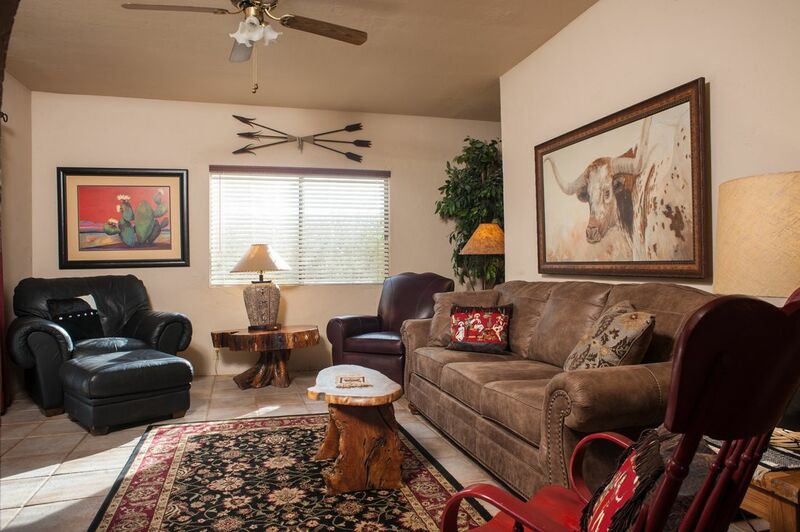 There is a sleep sofa in the spacious living room if you need sleeping space for one or two more. 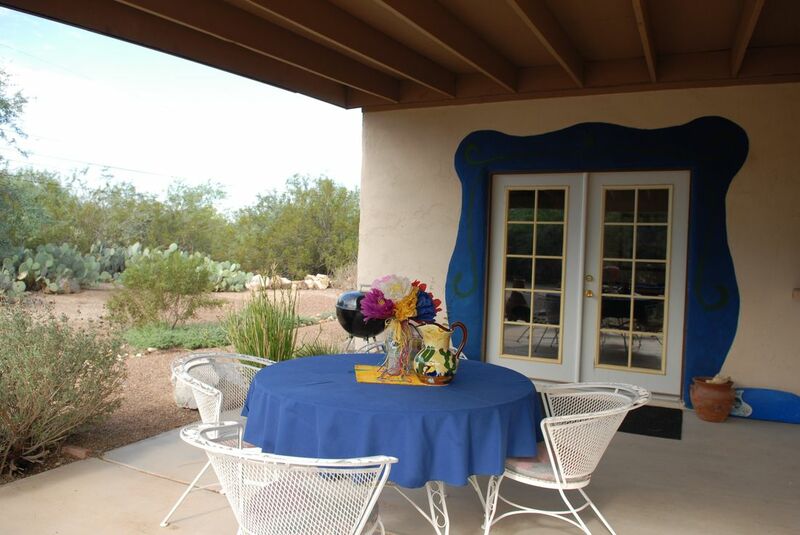 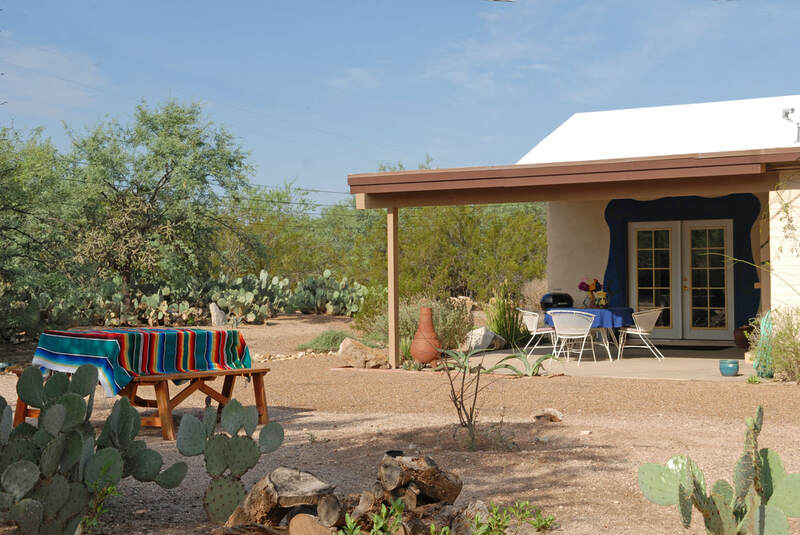 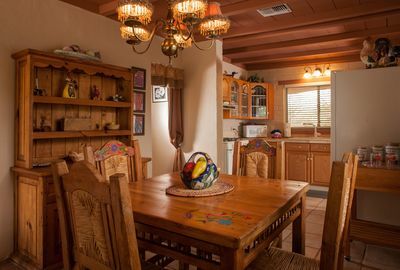 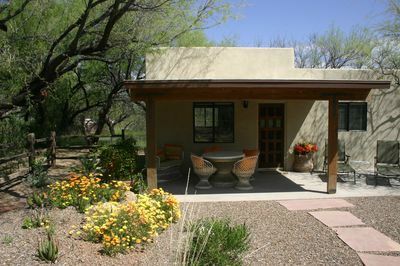 The living room features french doors that lead to a covered back patio and a lush desert surroundings to enjoy the sunshine around your Casita. You are welcome to explore the grounds of The Smokey Springs Ranch which includes a putting green, spool (spa with sunning lagoon) and a host of animals. 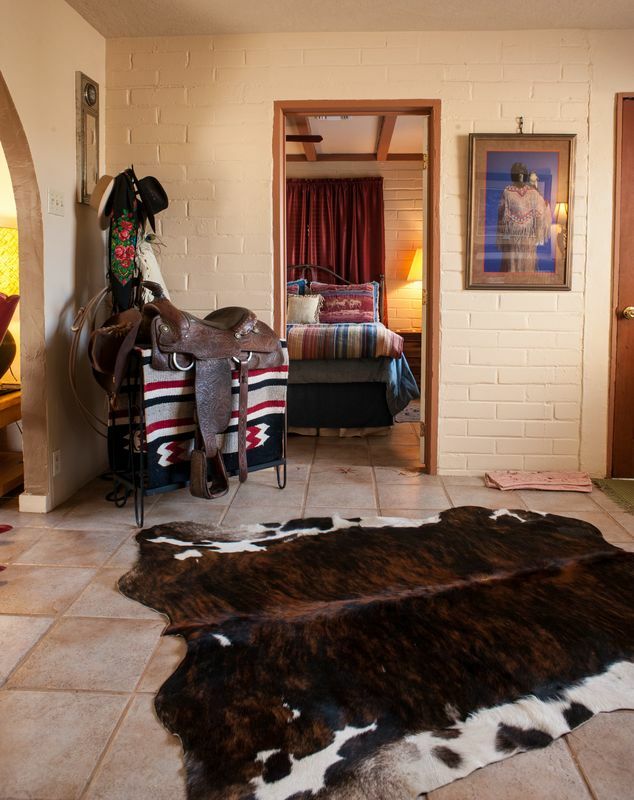 There is also hiking, biking, and horseback riding nearby.